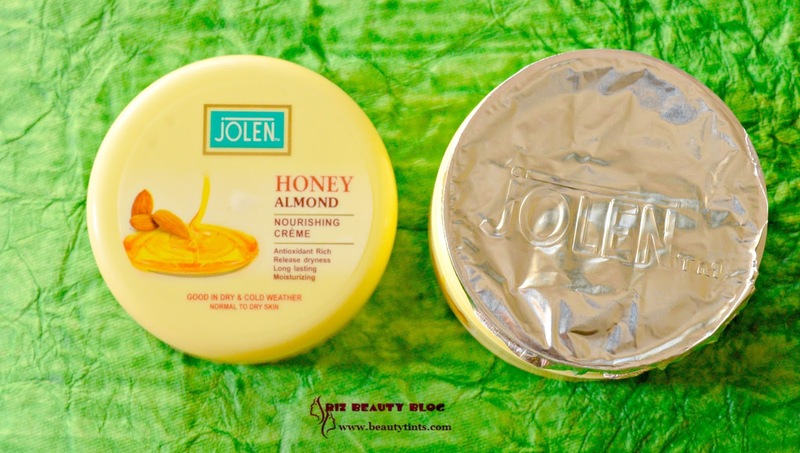 Sriz Beauty Blog: Jolen Honey Almond Nourishing Creme Review! 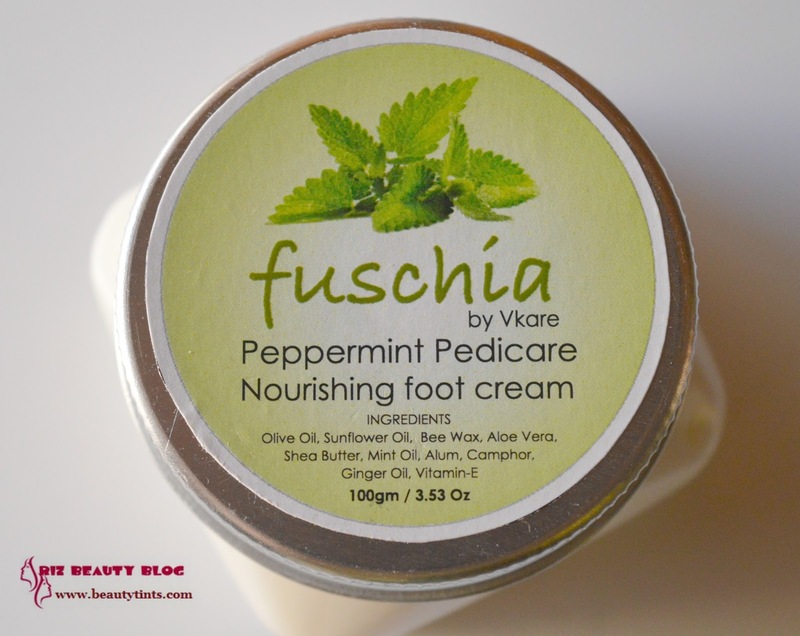 - Winter Series!!! 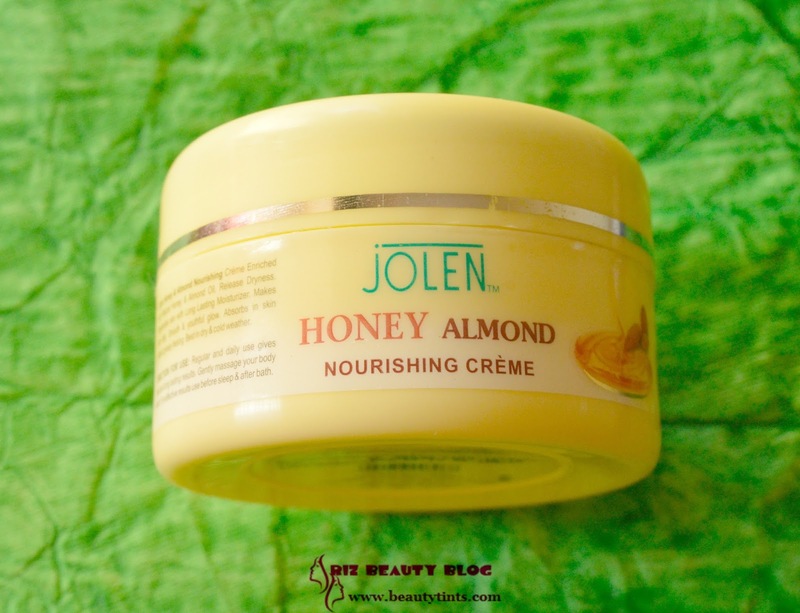 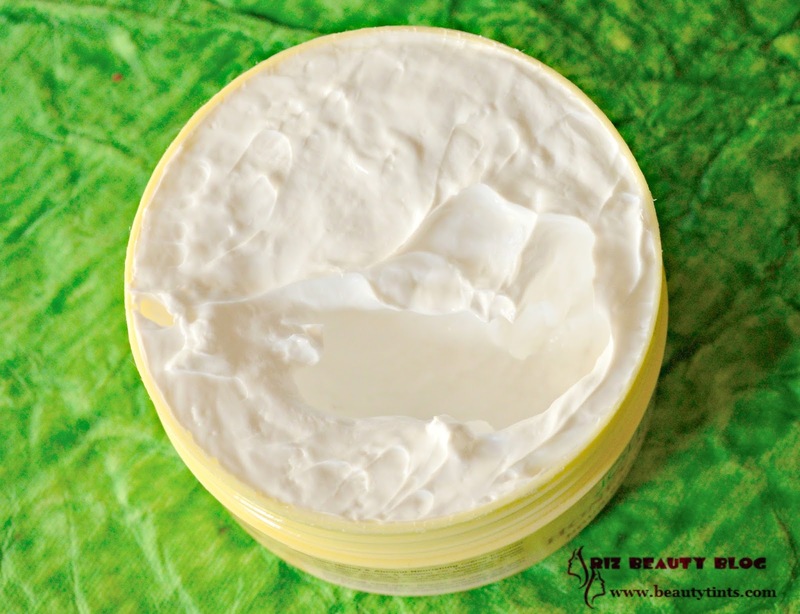 Jolen Honey Almond Nourishing Creme Review! 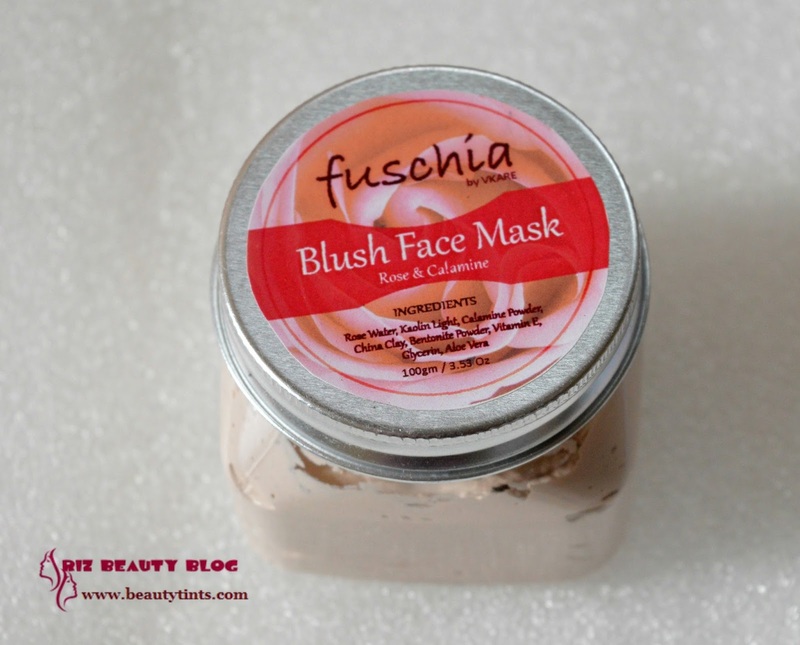 - Winter Series!!! 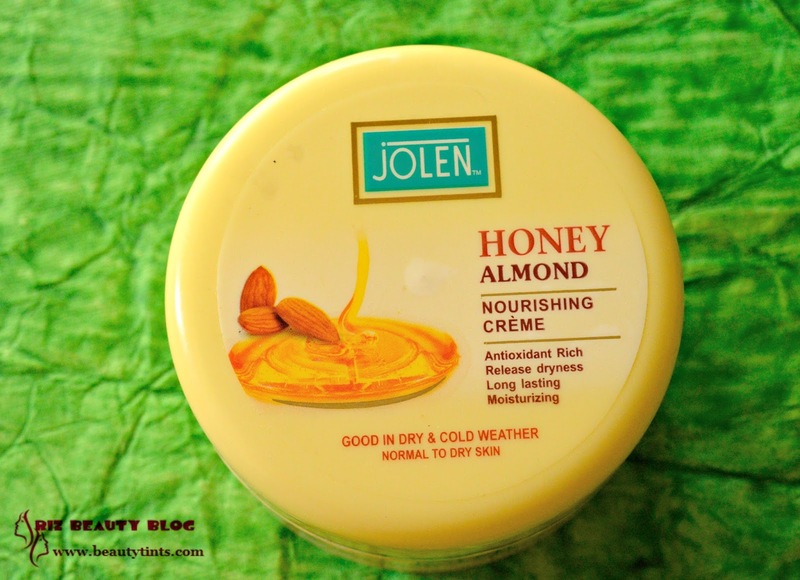 Today I am reviewing Jolen Honey Almond Nourishing Creme, which is a thick moisturizing cream which is suitable for winters as it deep moisturizing cream which helps in keeping the dryness away! 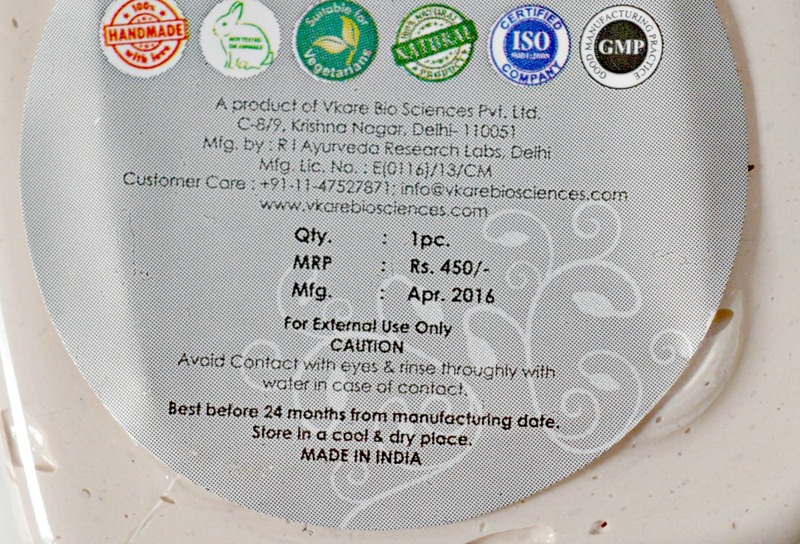 Packaging : The Creme comes in a pale yellow colored tub packaging with a screw cap.It is sealed inside for extra protection. 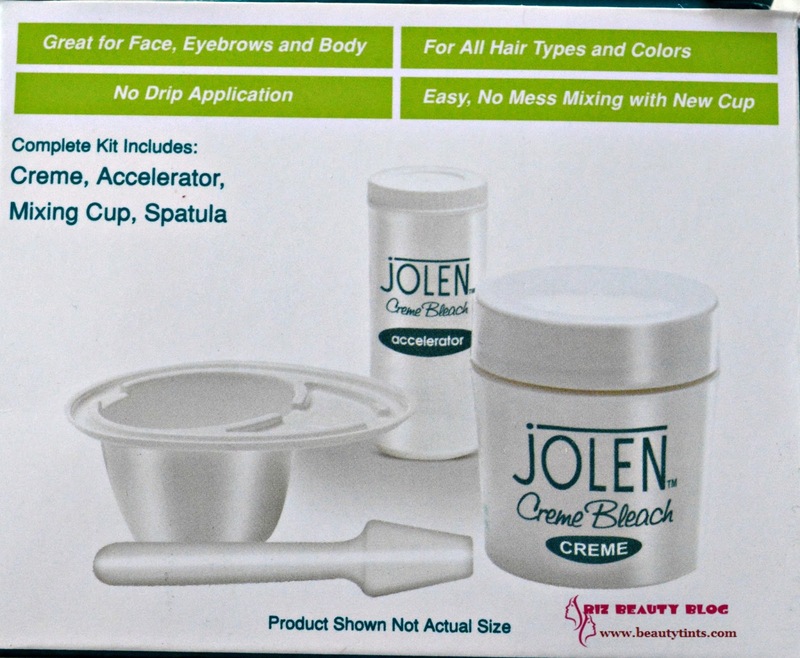 Availability : Available in many online stores .You can buy it here . 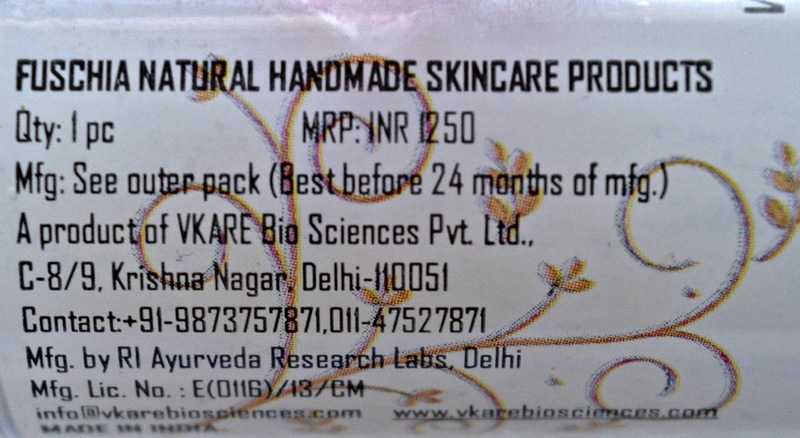 Directions : Regular and daily use gives best and long lasting results.Gently massage your body with it.For effective results use before sleep & after bath. My View On the Product: I love body butters or moisturizing creams more than the body lotions as I personally feel that the body butter give long lasting hydration than the body lotion, especially when my skin is super dry and peeling.This Jolen honey & Almond cream comes in a pale yellow colored tub packaging with a screw cap.The cream has a thick consistency and a very little is needed every time.It spreads easily and gets absorbed completely with a bit of massaging.It has natural almond oil fragrance.It gives instant moisturization to the skin without being heavy or sticky on the skin.There is no need for reapplication for many hours.It makes skin smooth and supple without any dryness.This cream is enriched with the goodness of Almond oil and honey.This is priced very reasonably which makes it budget friendly cream for winters.It is available easily in the market.The only con is it contains parabens. 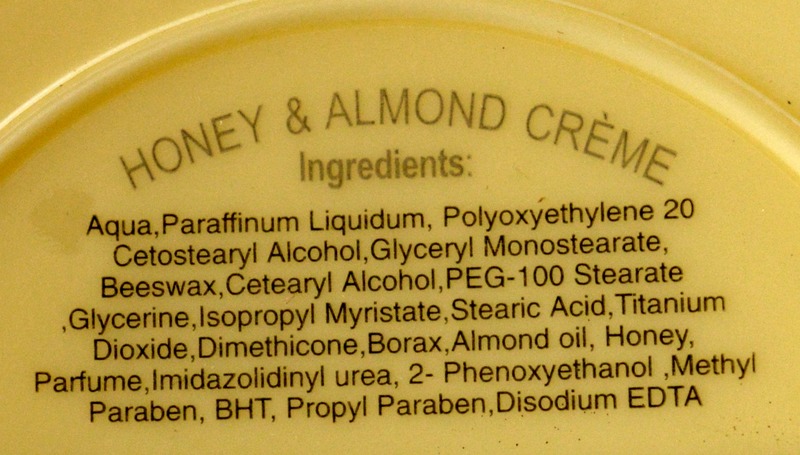 Final Conclusion about Jolen Honey Almond Nourishing Creme: Those who are looking for a budget friendly yet super moisturizing cream should gives this cream a try!